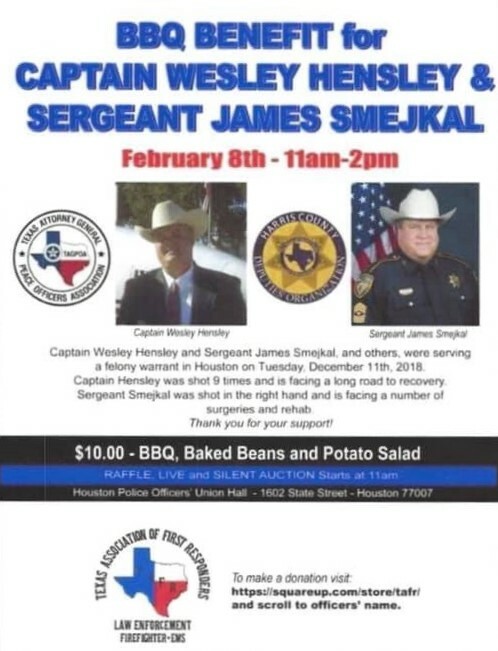 Capt Wesley Hensley and Sgt. James Smejkal and others were serving a felony warrant in Houston on Tuesday, 12/18/18. Capt Henlsey was shot 9 times and is facing a long road to recovery. Sgt. Smejkal was shot in the hand and is facing a number of surgeries and rehab. Please join us.